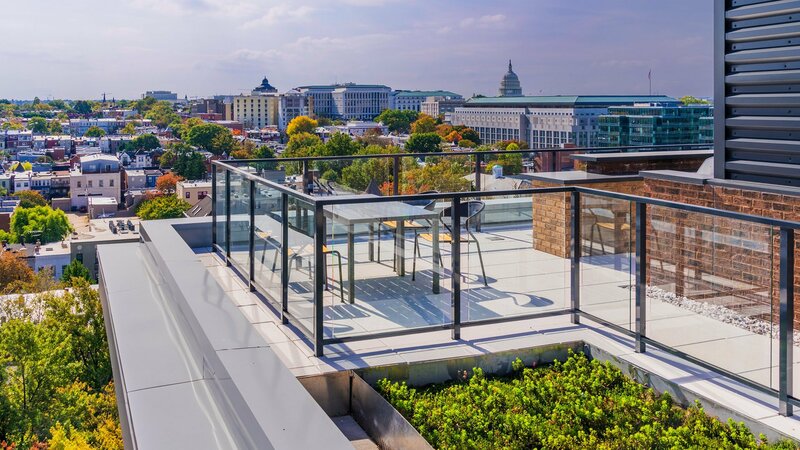 It’s impossible to find an inch of “boring” in the eight-story apartment community set on Washington DC’s trendy H-Street. 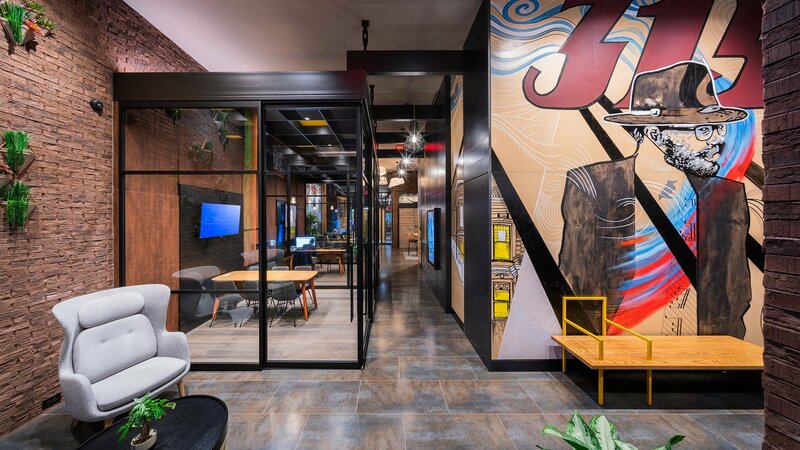 Working with a number of local artists, including Gutierrez Studios, BroCoLoco and Metcalf Studios, the team created a truly unique living experience rich in detail and character. 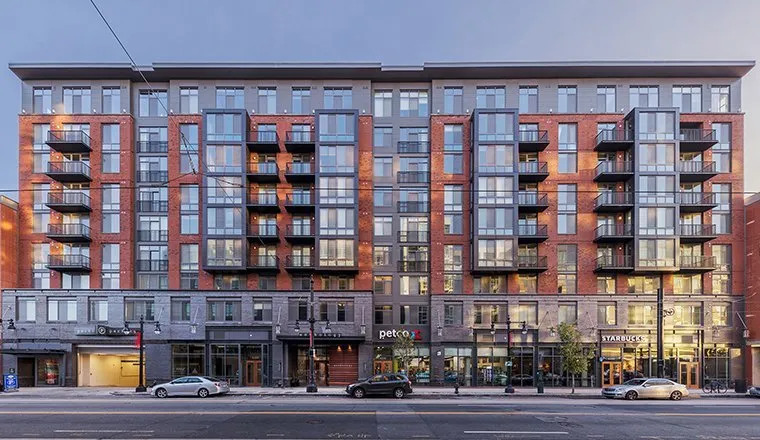 Coda on H has the distinction of being the smallest concrete high-rise project completed by Hord Coplan Macht’s Housing and Mixed-Use Studio, to date. 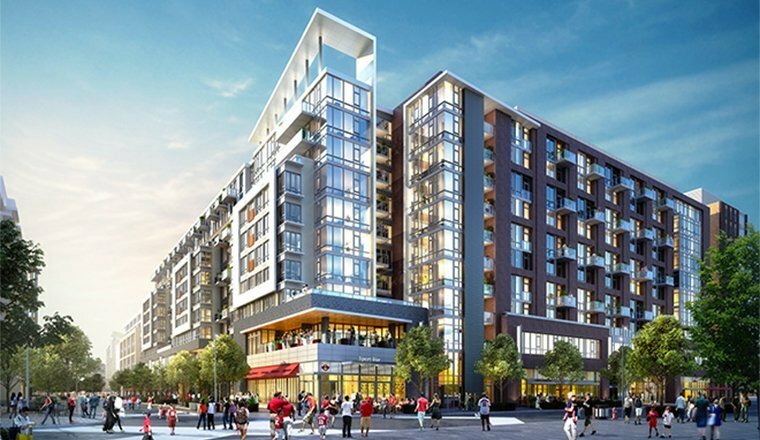 The 95,000 square foot, 8-story, boutique apartment building contains 112 units, 6,000 SF of ground floor retail, and roughly 4,000 SF of amenity space, including a rooftop deck. 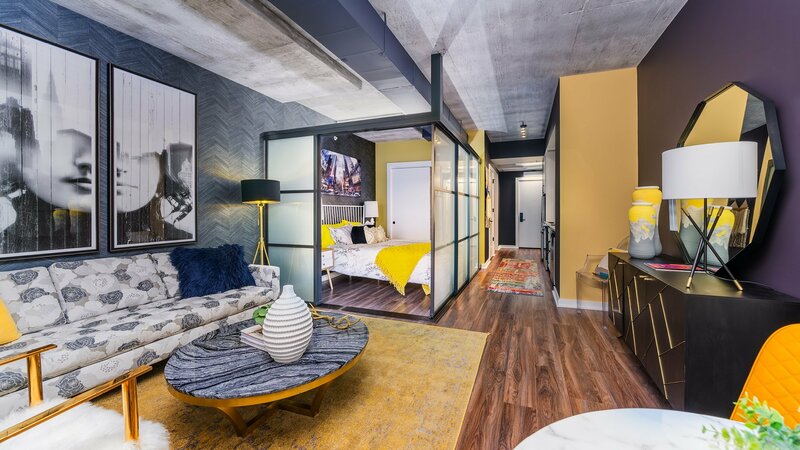 Coda’s units average 600 SF, with the smallest contained to just 400 SF. 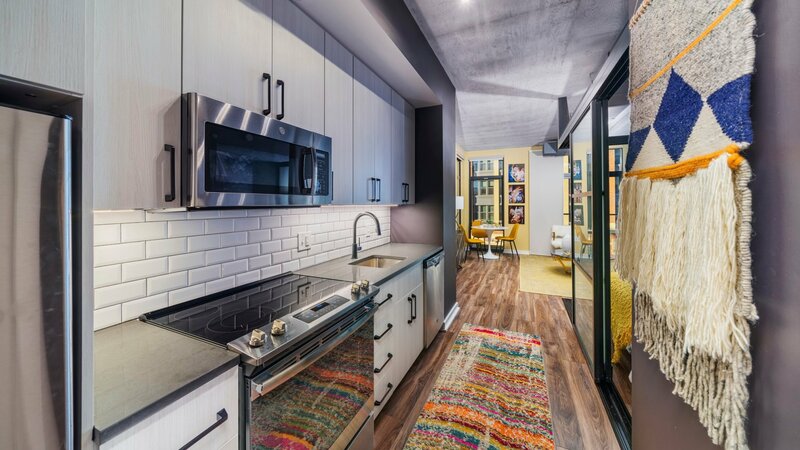 Innovative elements like glass sliding wall panels within the unit help to make the small footprint more flexible. 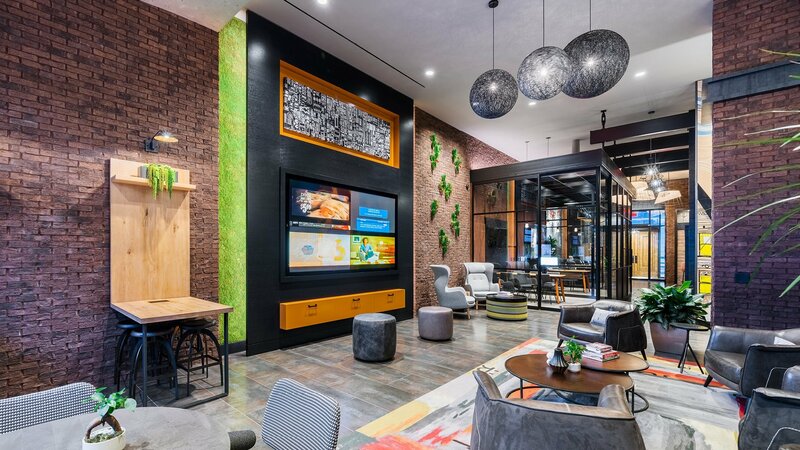 These micro units follow an emerging trend to draw residents out of their units and into communal spaces, building a stronger sense of community. 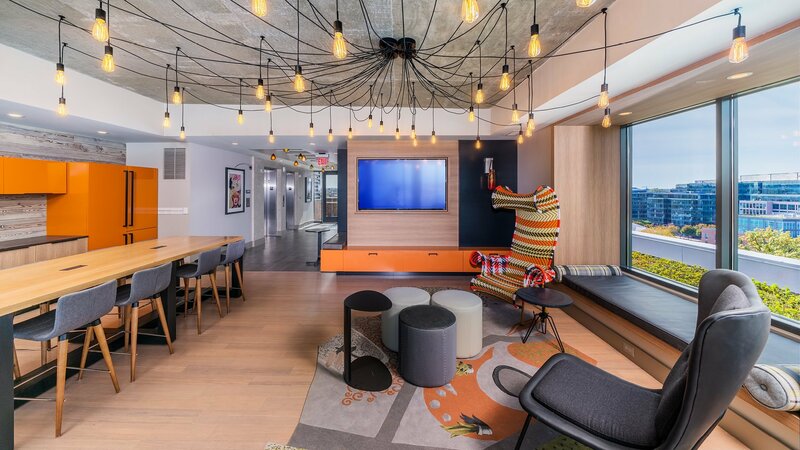 Like the micro units, the amenity spaces within the building are an exercise in overlapping program elements. 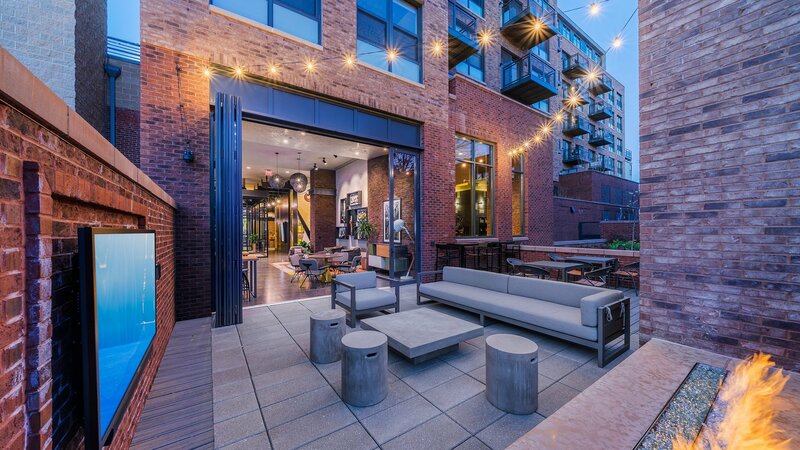 Coda on H has a rear/alley entrance vestibule that doubles as the mail room and bike storage. 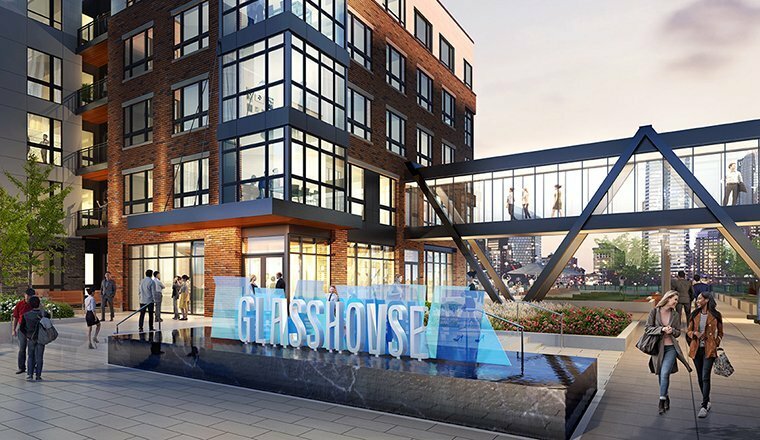 The main lobby doubles as the leasing office, club room, work space, and potential spill-out space from an adjacent retail tenant. 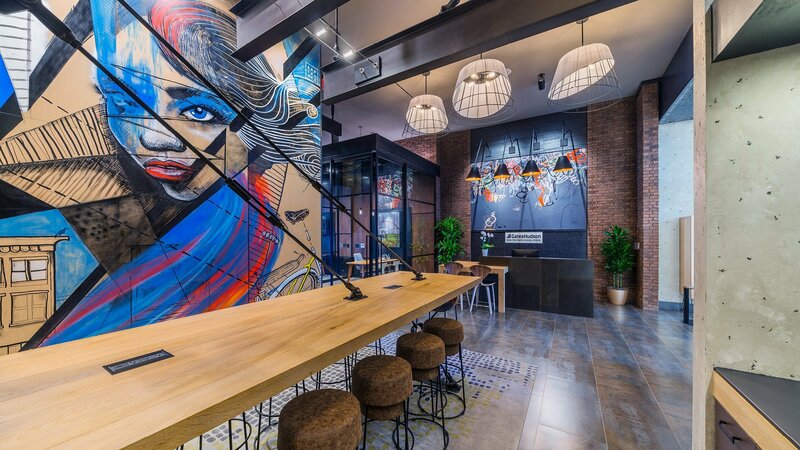 Every inch of the building has a purpose. 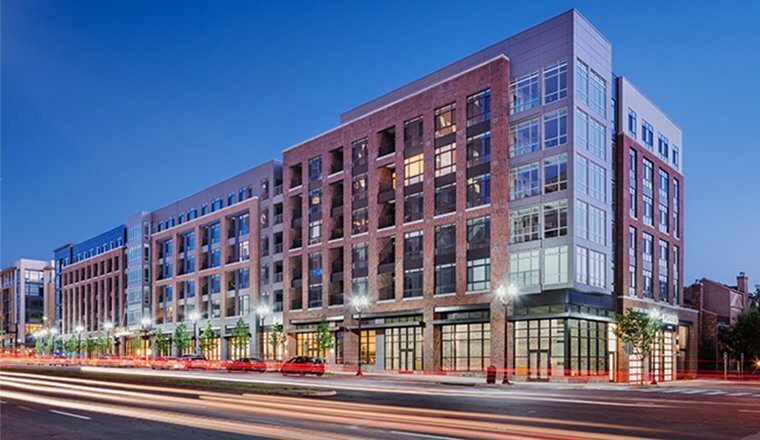 Located on the western-end of the H Street corridor, “Coda on H” is a contemporary take on a mid-century modern expression using a monochromatic palette as a backdrop. 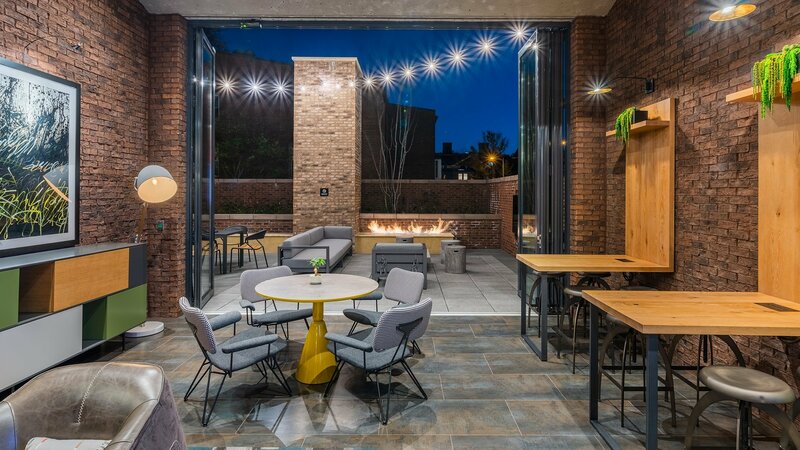 The building is grounded to the site by a dark, highly textured brick, steel, stone, and glass base that speaks more to the eclectic and historic character of the neighborhood. 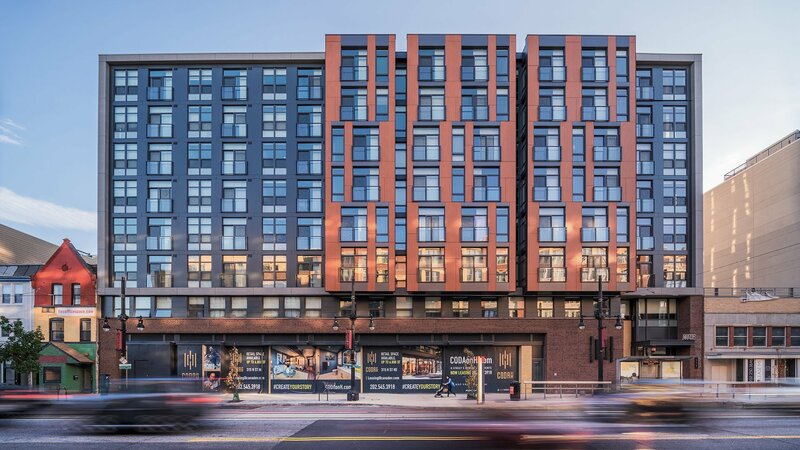 This backdrop of greys is punctuated on the H Street façade by large playful, rust red bays projecting over the streetscape; and on the alley façade by a ribbon of earthy, mottled brick that blends seamlessly with the more historic homes south of the site.